Are you suffering from lower back pain after hysterectomy? Lower back pain is a common side effect of hysterectomy. These 5 simple Physical therapy exercises for lower back pain after hysterectomy can be performed at home to relieve discomfort and joint stiffness. These lower back exercises are appropriate for most women after hysterectomy as they are considered ‘pelvic floor friendly’ i.e. they don’t increase the load on the low abdomen or pelvic floor. Combined hysterectomy and prolapse surgery. *Always follow the guidelines of your medical caregiver regarding the exercises most appropriate for your condition (refer below). You may like to use a single pillow or cushion to support your head and neck. Heel Slides are simple exercises that can be performed lying in bed to relieve or prevent hip and lower back pain after hysterectomy. Keep your moving foot in contact with the bed throughout the entire exercise. Lumbar rotations are a great exercise for relieving lower back pain, stiffness and backache especially with bed rest. Return back to your starting position and repeat the same exercise to the other side. Knee Rolls after hysterectomy are performed as a small movement. Avoid lowering your knees right down to the bed and rolling them too far, particularly if you have an abdominal wound. You may find that you can gradually increase how far you can lower your knees towards the bed during your recovery. Pelvic Tilts can help to avoid or relieve back stiffness and lower back pain after hysterectomy. This exercise is particularly beneficial for women who naturally stand with a large inward curve in the lower back. Bridges are usually a comfortable exercise after hysterectomy surgery because the buttocks move the body and there is no pressure placed upon the pelvic floor. Bridges relieve pressure off the lower back and buttocks with bed rest. This exercise is an excellent way of maintaining strength in the buttocks during recovery as well as helping you to move safely in bed. Lower your buttocks back to the bed and repeat this action. Keep this exercise slow and smooth throughout. Avoid lifting your hips and buttocks too high off the surface of the bed. Bed rest and lack of movement are a major cause of lower back pain. Regular short walks throughout the course of the day can prevent and relieve lower back pain and stiffness during your hysterectomy recovery. Gradually progress the time you spend walking over the course of your recovery. 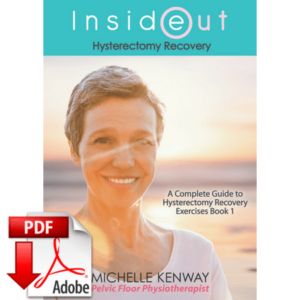 How Many Lower Back Exercises After Hysterectomy? Start out with the number of exercises you feel comfortable performing at a time this may be anywhere from 2-10 exercises in a row. You may choose to gradually increase the number of exercises you perform up to 10 in a row during the first 6 weeks of your hysterectomy recovery. How Often to Perform Lower Back Exercises After a Hysterectomy? The lower back exercises can be performed any time when resting in bed. Ideally they are performed up to 2-3 times daily when resting in bed. 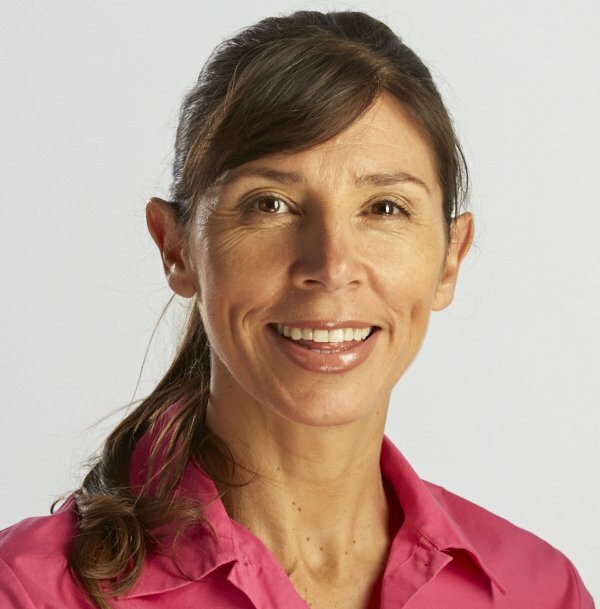 » Yoga After Hysterectomy – Is It Safe For Your Pelvic Floor? Learn Physical Therapy exercises and techniques help you move well and exercise safely to avoid major complications and common side effects of hysterectomy. *This article provides general information for relieving lower back pain after a hysterectomy and not a substitute for medical treatment. Always follow the specific advice of your medical provider (surgeon or Physical Therapist) regarding the exercises that are appropriate for you after your hysterectomy. These exercises should always feel comfortable and pain free, cease any exercise that causes physical discomfort.